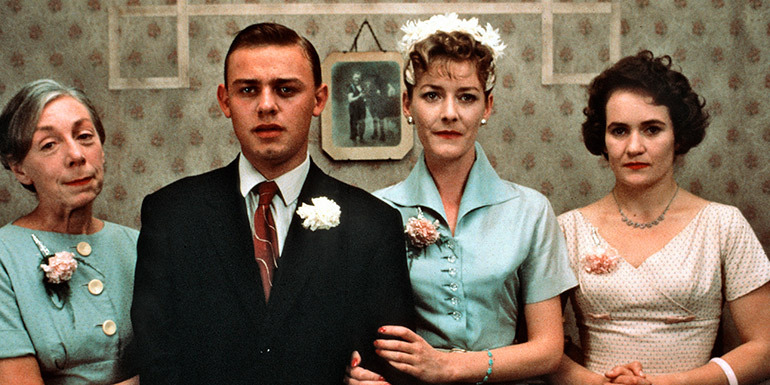 Terence Davies’ partly autobiographical tale evokes his upbringing in Liverpool after the war in a working-class home dominated by the violence of his father (played by Pete Postlethwaite). This film comprises two separate sections, with the first, ‘Distant Voices’, focusing on the early life of the family, and the second, ‘Still Lives’, chronicling the lives of the now adult children. Music is to the fore, with many of the songs in the film sung by the cast and the tagline: ‘in memory, everything happens to music’.